The perfect bag for the adventurer, this durable canvas bag is both stylish and tough (it can hold up to 50 lbs!). 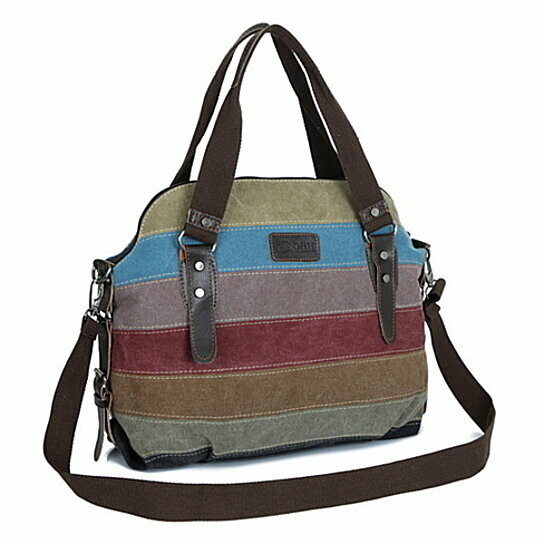 It balances its outer toughness with a soft nylon interior with enough pockets for all of your little essentials. Measuring 13.8" x 4.7" x 14.6", retro stitching details and a fully adjustable 55.1" strap complete the look.